You can't touch me nor see me, but I always pull you, keeping you heavy. When I am gone you will always float. What am I? 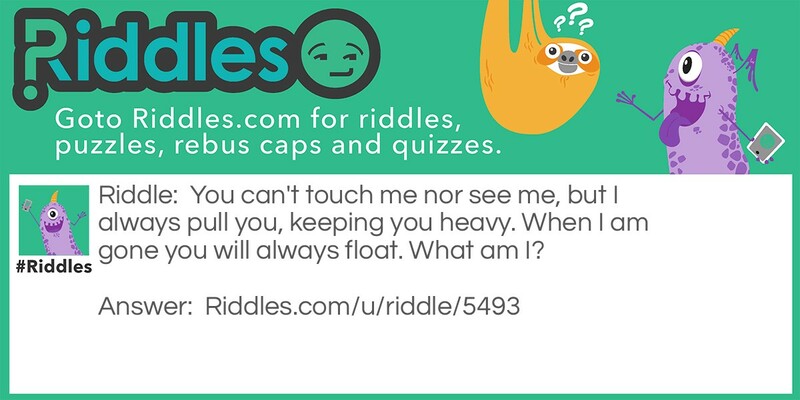 The Force Riddle Meme with riddle and answer page link.